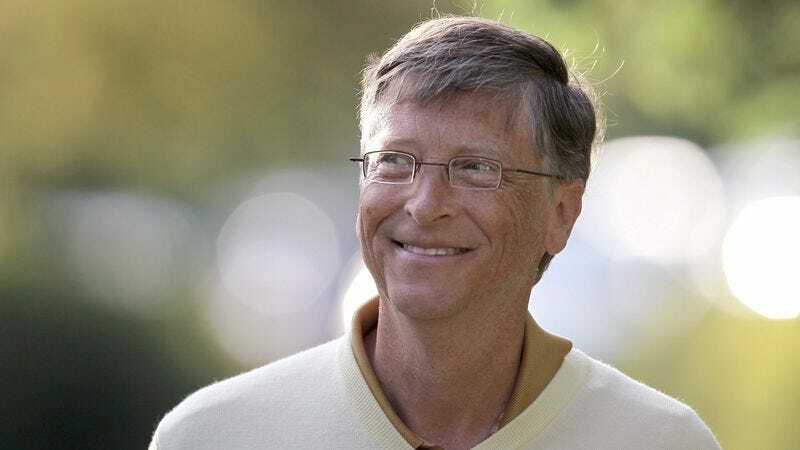 SEATTLE—With his wife away on a research trip for the Gates Foundation, Microsoft founder Bill Gates spent $56 million on Amazon in a single marathon session late Wednesday night. “The kids were in bed, and I was thinking about how it had been a long time since I’d heard any Yes, so I bought the MP3 for ‘Leave It,’” Gates said as he opened one of the 13,846 boxes that had arrived at his house. “Then I started looking into other songs Trevor Horn produced and bought all the Frankie Goes to Hollywood and Art of Noise CDs they had. I guess that sort of inspired me, because next I purchased Amazon’s entire inventory of musical instruments, equipment, and software, and before I knew it, I somehow ended up with 200 sets of luggage, all their TVs, a bunch of kayaks, that Krakauer book about the Mormons, and I don’t even know how many walk-in freezers. Oh, and a dozen chandeliers and a birdbath and pretty much all their watches, too.” Gates told reporters he came to his senses at about 5 a.m. after realizing he had nearly purchased a controlling stake in the company.